I used watercolors to create an ombre background in pink, then added some white and gold splatters to this (my first touch of gold!). I hope you'll play along in this challenge! There are so many wonderful ways to use the theme - you could heat emboss something in gold, then watercolor it in; you could add a sprinkling of gold sequins or glitter over a watercolor creation; the possibilities are endless! Happy Birthday Winnie and Walter!!! One randomly chosen comment on this post will receive the limited edition Scenery: BIGGER Bang Confetti stamp set. This is gorgeous...sorry to miss the challenges because I am away. I adore the combination, Heather! Gorgeous inspiration right here! Such a beautiful card! Love the cold and pink. Heather, this is simply gorgeous! This is such a gorgeous card! Watercolour and gold are my favourite new trends. 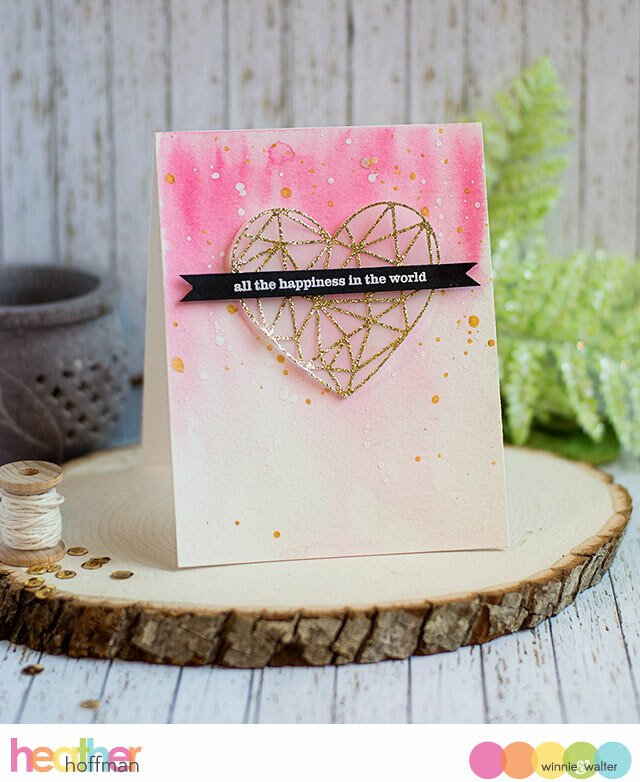 Your card makes my heart go pitter patter, and I cannot wait to buy that gorgeous heart die!! I love watercolor and gold, especially together, this will be a really fun challenge! so elegant ! !loved it !! 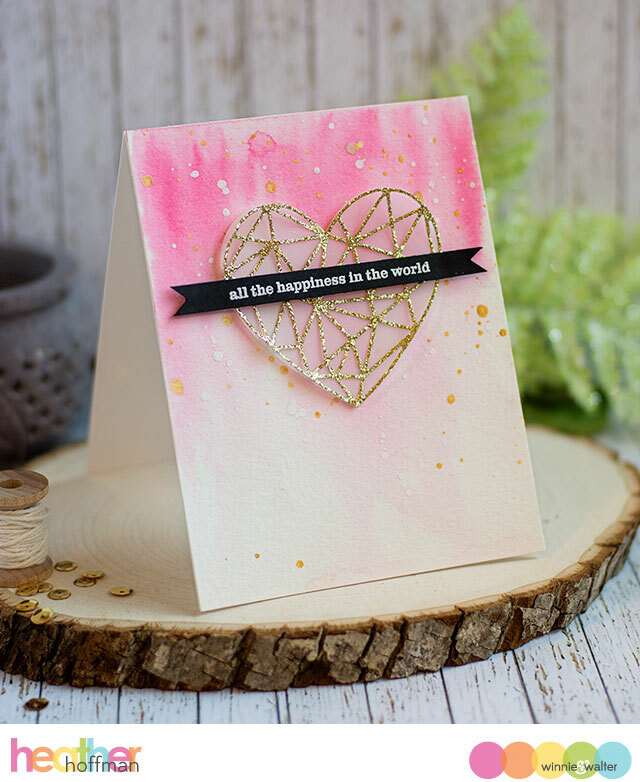 LOVE your pink, gold and glorious faceted heart!!! Love the watercolouring with the gold heart...beautiful! I really like this card and have lots of weddings coming around! Such a beautiful card Heather!! So elegant!! i love this soft look so much!! The gold stands out beautifully in the pink! Heather, this is absolutely gorgeous!!! A very beautiful card! Love all the spatter, the new die, and the black to add contrast and drama! Anything plus gold is always going to be a winner in my book....and when it is watercolor that is being added...oh, my!!! Just gorgeous. Thank you for the inspiring challenge and for sharing that fabulous card!!! Oh this is one of my favorite combinations - gold and colorful watercolors. Love your fabulous card Heather! That vellum loos terrific over the lovely watercolor wash! Thank you so much for the lovely inspirations. I love water coloring and will surely join in.